Posted in: News - Soccer (Futebol), Past News and Events. Tagged: 12:30pm, 3pm, 6th, All, Are, broadcast, Euro 2016, game, June, KITCHENER PORTUGUESE CLUB, Main Hall, portugal, Sardines, Semi-Final, VIVA PORTUGAL, Wales, Wednesday, Welcome. Portugal will face Wales in the Semi-Finals of Euro 2016, on Wednesday, July 6th, at 3:00pm! We will broadcast the game, at the Kitchener Portuguese Club, with doors opening at: 12:30pm and there will be Sardines for all present! Posted in: News - Soccer (Futebol), Past News and Events. 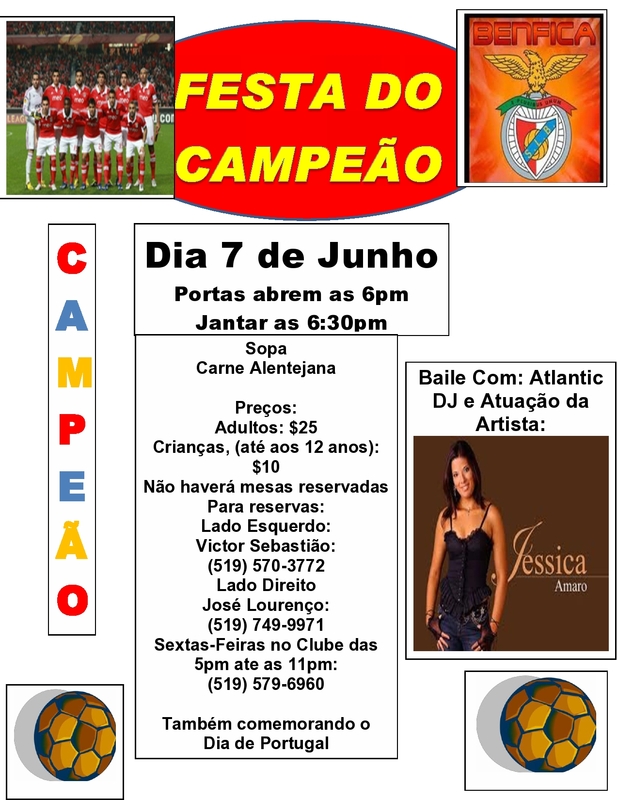 Tagged: $25, (up to 12 years old): $10, 12pm, 1pm, 2016, 5th, Aduls, Atlantic DJ, Benfica, Champions, Children, Dance, Doors, Jose Lourenco, June, KITCHENER PORTUGUESE CLUB, Left-Side, Lunch, Party, potatoes, Prices:, Reservations, rice, Right-Side, salad, soccer, Soup, Steak, Sunday, Vitor Sebastiao. Doors open at 12pm | Lunch will be served at 1pm. Menu: Soup, Salad, Steak, Rice, Potatoes & Dessert. Dance music provided by: “Atlantic DJ”. Prices: Adults: $25 | Children (under 12): $10. Left Side – Victor Sebastian: (519) 570 -3772. Right Side – Jose Lourenco: (519) 749-9971. Posted in: News - Soccer (Futebol), Past News and Events. Tagged: Atlantic, Benfica, Champions, clams, club, Corriander, Day, DJ, kitchener, Party, pork, portugal, portuguese, potatoes, salad, Soup. 11AM: Flag Raising Ceremony in front of the Club, with 2 National Anthems sung and Surprises to follow. That night: Doors open at 6pm | Dinner will be served at 6:30 pm – Menu: Soup, Salad, Meat and Seafood Alentejo & Dessert. Dancing music by: “Atlantic DJ” and a performance by local Portuguese-Canadian Artist: Jessica Amaro. Performance by the Folklore Dance Group, of the Kitchener Portuguese Club. Prices: Adults: $ 25 | Children (under 12): $ 10 | $ 5, only for the ball to 9:30 pm, at the door. For reservations, please contact: Left Side – Victor Sebastian: (519) 570 -3772 – Right Side – Jose Lourenco: (519) 749-9971. Reservations can also be made, on Friday nghts, at the Club, from 5pm until 11pm: (519) 579-6960. Posted in: News - Soccer (Futebol). Tagged: club, comeback, FC, friendly, game, Goal, international, kitchener, lisbon, portugal, soccer, Sports, united, waterloo. “Kitchener, Ont. — On a hot night with the sun setting at the horizon, K-W United FC hosted internationally known Sporting Clube de Portugal in an international friendly in front of thousands of fans at Budd Park in Kitchener. The game, featuring a coin toss by a long-time Sporting fan, a sea of green and white, enthusiastic fans and match-like conditions, held no disappointment to the spectators Wednesday night. And after holding the lead for nearly 50 minutes, K-W United couldn’t hold on as they lost 2-1 to Sporting CP. 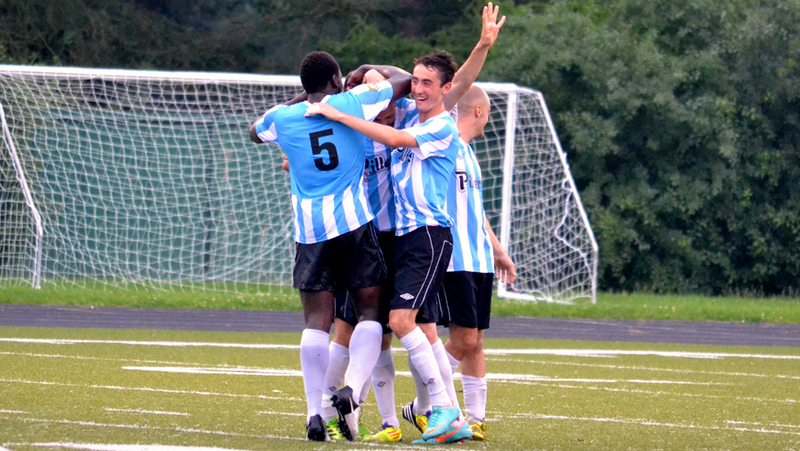 With a 6:30 p.m., kick off, United matched up their regular season roster, giving the PDL men a test early on. Sporting came out firing, giving goalkeeper Nathan Ingham a few tests early, but Ingham would not let anything by him as he stood tall, making beautiful saves right across the net. In the 7th minute, Nii Plange had a chance to put the visitors up 1-0, but as his ball soared into the net, it was ruled offside. United would get a few good chances in the first half, with Jarek Whiteman and Jay Chapman getting various balls on net. However, it wouldn’t be until the 41st minute when Jay Chapman would beat Sporting’s keeper Marvelo and put the home team ahead 1-0. The lead would extend into the second half, when United would take the opportunity to shake up their players, allowing all substitutes an opportunity to play against Sporting CP. Sporting’s play sped up in the second, putting various chances on new keeper Darrin MacLeod. Finally, in the 76th minute, Filipe Chaby sent a beautiful header beyond MacLeod to tie the game up. Merely a minute later, Wilson Eduardo would finish off a nice cross and also put it in the back of the net to put Sporting up 2-1, but that would be the end result. Jay Chapman was named man of the match for the international friendly. 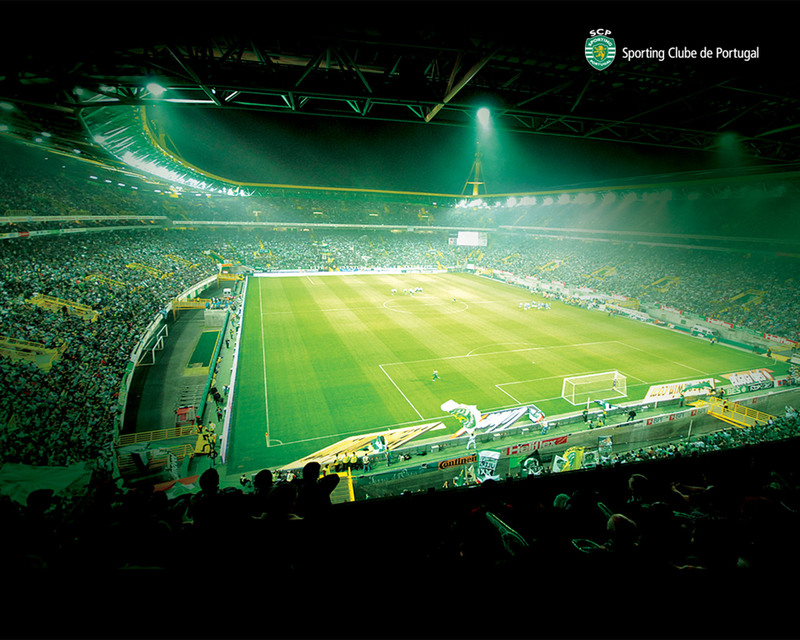 The Sporting Club of Lisbon will be playing again on Sunday in Toronto on BMO field at 3 PM against Penarol Montevideo. Tickets can be purchased online through Ticketmaster here starting at $51.25 (including taxes). Posted in: News - Soccer (Futebol). This is a reminder that there will be an incredible soccer game taking place tomorrow between Sporting Lisbon (a top quality Portuguese team) and Kitchener’s own Kitchener United. Tickets are still available at $56.50 (taxes included). Tickets must be purchased or reserved by contacting Dan Rocha by 5 PM today (July 16th). For more information about this incredible event, to which tickets are selling tremendously quickly, check out our previous post about this by clicking here or scrolling down. UPDATE: The game was very exciting, fast paced and tight, ending in a score of 2 – 1 with Sporting Lisbon taking the victory. Posted in: News - Soccer (Futebol). Tagged: club, exciting, game, kitchener, lisbon, portugal, professional, recreation, soccer, tickets, united, waterloo. 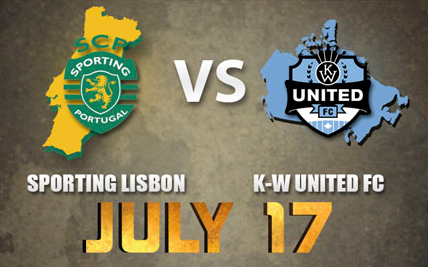 “On July 17th, the Sporting Club of Lisbon will be taking on Kitchener United at 6:30 PM in Budd Park, Kitchener. Kitchener United is a newly formed soccer team and is excited to announce a friendly match with this world-renowned Portuguese club. Sporting will be holding their preseason training in Alliston, Ont., at Nottawasaga Inn and will be bringing their first team for a couple of exhibition matches against teams in Southern Ontario. Sporting Club de Portugal has won 18 Portuguese Championships and a European Cup Winners Cup in their over 100 years of existence. Sporting is well known for their system of player development, including international superstars such as Cristiano Ronaldo and Luis Figo. Sporting will play K-W United FC in their inaugural season. Tickets are only $50 each. If you would like to purchase tickets, please contact us at kpci579@gmail.com or call Dan Rocha, the club’s public relations director at home: (519) 744-5516 or on his cell: (226) 791-6357. You can also come to the Portuguese Club Friday nights between 6:30 PM and 12 AM.